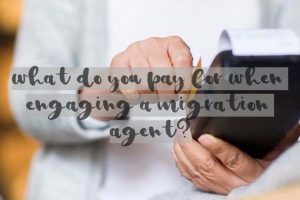 What are you paying for when engaging a Migration Agent? An answer seems to be simple – for migration agent’s experience and your peace of mind. But in reality, there is way more than that. Let’s get into some details. At Nowak Migration, we lead our clients through the whole migration process and also assist with the other migration matters as health insurance, bank account, taxation matters, moving your stuff from overseas, and so on. We do cooperate with other companies assisting migrants to settle in Australia. The main benefit of using a Nowak Migration consultant is that we are familiar with the migration laws and processes. Assisting with applications every day, we are aware of all potential risks and can spot an error in your application from a mile away. If you make an error in your visa application it not only could be rejected, but you also may lose thousands of dollars, because in most cases application fee is non-refundable. Engaging Nowak Migration as your migration agent you will be led by the hand through everything from the skill assessment and English Test to the visa application and everything in between. First of all, we’ll check the best visa option for you. The one which you have chosen might not be the best one for you or you might not be eligible for it at all. Call us if you are already sure you need our assistance. For an employer-sponsored visa – we’ll deal with your employer. They’ll have to provide with a financial information, so I doubt if they will be willing to share that with you. We’ll advise what documents are necessary for the particular visa application. We’ll advise the form of documents. 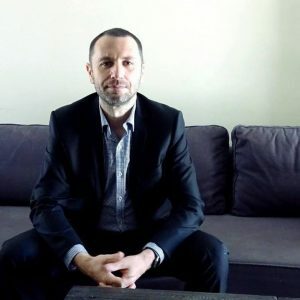 Whether it will have to be a Statutory Declaration, written on a department form, certified copy or just a scan of an original document which might be certified by a migration agent. We’ll advise if documents provided are correct and valid. If required, we’ll assist with writing a declaration or a few as necessary. We may have some templates handy. Migration agent can certify most of the documents for a visa application, it saves you a lot of hassle and money. We’ll let you know if a police clearance is required for your visa and how to obtain one if necessary. We’ll let you know how to schedule an appointment with a right doctor for a visa application if required. Did you know not all the doctors could provide with a medical examination for a visa, and there could be different examinations required dependant on a visa type? Some countries may require “biometrics”, we’ll let you know how to get them if necessary. We pay attention to details. Sometimes simple “,” changes a meaning. Do you know KISS principle? Is it “Keep it simple stupid” or “Keep it simple, stupid”? Did you know, that Department of Immigration requires all the documents to be provided in English. If any documents are in another language, these will have to be translated into English. We may assist with translations of original documents if required. We’ll also advise if a document is necessary for an application, so you might save the money on translation if a document is not required. Files uploaded to the department’s website must be in a specific format. If the file type is not supported or is too big, even if provided will not be taken into consideration by a case officer. We make sure all the documents are up to the standards. There is a limit for a number of files which might be uploaded to the immigration website. We make sure your submission will be within the limit by combining the documents where necessary. We’ll make sure application is lodged the right way. Sending a paperwork to the wrong Australian Immigration Office or by post instead of courier may make your application invalid. Check here the story of the guy who faced this issue. We make sure application is organized and accurate. All the information provided in the form must be supported by the evidence. Remember – all the evidence must be verifiable and believe me, case officers are checking the source of evidence. Bogus documents are a big no-no, so we’ll let you know if any of the docs might raise a red flag, even if in your opinion it’s all the truth. We’re making sure your evidence will support right intentions for the type of the visa. Well – wring in your tourist visa submission you are willing to come to Australia to look for an employer and then apply for a permanent visa is not the best idea. Do you know what “reasonable number of photos” means? And what should be on the photos when submitting them as an evidence? We do. We’ll also check the information about you available on the internet, just to make sure it is consistent with your visa application. That’s the first thing case officer is checking especially when you apply for a Partner Visa. Facebook, LinkedIn, Twitter – these are just a few platforms where you might be exposed. The information provided in your visa application must be consistent with your previous visa submissions, otherwise, you may get in trouble. If any doubts we may assist with getting the information about your previous visas, if any, from migration agents you might have engaged before us or from Department of Immigration’s archives. Lodging an FOI request takes time, but in some circumstances, it might be crucial to know what DIBP keeps about you in their archives. Immigration is quite quick to serve a 4020 letter requesting you comment on or withdraw an application for providing misleading information. There could be legitimate reasons for some inconsistencies, but anticipating them and explaining potential concerns is the best approach. We make sure these are addressed straight away. We’ll let you know about the law changes which may impact your visa application. There are “Time of Application” and “Time of Decision” requirements. Sometimes you must have your IELTS done before lodging a visa application, sometimes it can wait. Some documents must be provided up-front, some can wait or should be provided later. We do everything to make sure your application is complete, so case officer will “tick all the boxes” and grant your visa straight away without asking additional questions. We will communicate with a department of immigration on your behalf during a visa process. For some visas, it may take well over a year to hear from a department. We’re with you all the time answering your questions and following up if necessary. Did you try to call a department’s information line? Did you experience waiting for a couple of hours just to get no information from the operator at all? We might know better or right ways of communicating with immigration office. There are timeframes for a response when dealing with a Department of Immigration. We are making sure deadlines are met, otherwise case officer might refuse or cancel your visa. We’ll follow up with a skills assessment if necessary. Each skills assessment authority has their own rules, which have nothing to do with a visa application. Did you know, that sometimes for a visa application IELTS 6 is satisfactory, but skills assessing authority requires IELTS 7? Sometimes your skills are not good enough for one visa but are ok for the other. We’ll let you know if that would be the case, and will advise what to do to get “upskilled”. We may assist with a recognition of a prior learning if necessary. It might be helpful if you do not have required qualifications when applying for a work visa. Did you know, your immigration status might impact your future eligibility for a citizenship? BVE and unlawfulness are big concerns. Sometimes you have to provide with compelling and compassionate circumstances to satisfy case officer to give you what you want. Do you know which circumstances are compelling? We might also be speaking in your language, which is quite convenient if you are not comfortable communicating in English. It’s just a top of an iceberg of the issues you might and will face when dealing with a visa application by yourself. Do yourself a favor and let us do the hard job for you. Give us a call for a discussion on how we can assist. Don’t forget to sign to our newsletter if you did not do so yet. We can help. Please book a consultation.